Did you know Circle C had a creek-fed swimming hole? Me neither. On a recent visit to Circle C Park, we saw a couple people crossing a back soccer field with river tubes…Whaaat? So I took the boys out today and checked it out. 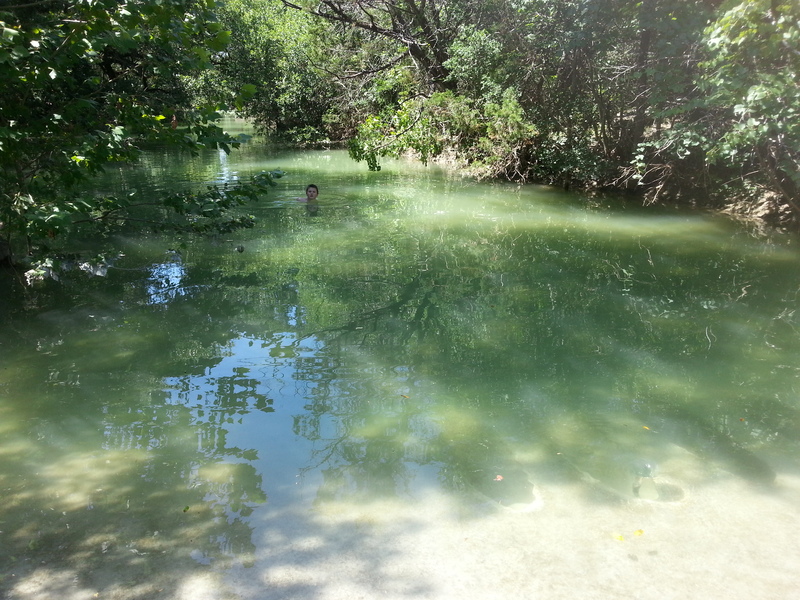 Sure enough, there is a concrete hiking trail low water crossing that crosses Slaughter Creek and when there’s been enough rain, it serves as a dam and you’ve got a swimming hole. It’s only a couple feet deep, but more than enough to cool off in. 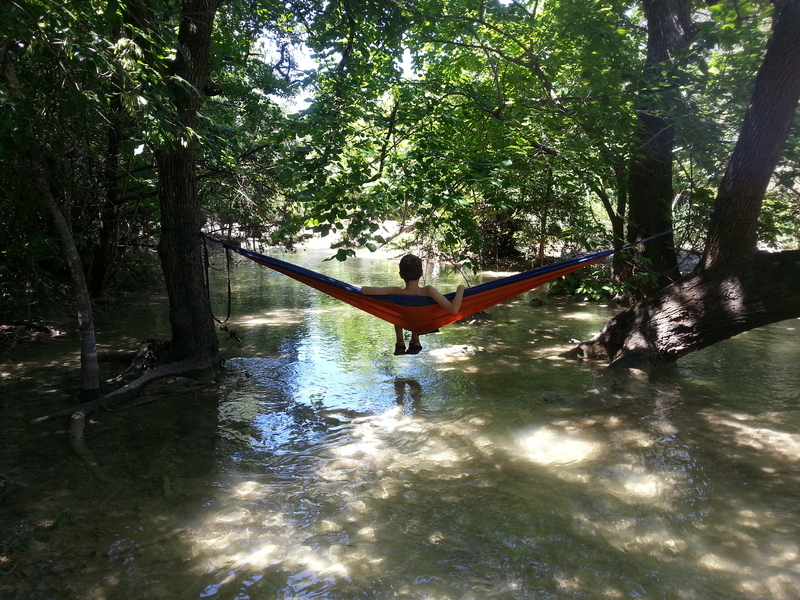 I put a hammock up in the shade over the water and we spent a couple fun hours. Bring a tennis ball to shoot through the drainage tubes that run under the low water crossing. Pro Tip: We put up a hammock up just east of the dam in the shade. It was awesome. For more information on the park, including hours, see the Circle C Park page. See below for a gallery of images, a Google Map of the things to check out, and the review summary. If you have additions, tips, or suggestions, please leave a comment below. For other activities in the Austin area, see our Austin Bucket List or our Austin Family Fun Map. Summary Did you know Circle C had a creek-fed swimming hole? There is (sometimes)! If it has rained recently, this is a great spot to stop if you are nearby. Dad of two boys, husband, and middle school technology teacher. Lucky enough to have summers off, he's always in search of the next fun thing to do with his boys (while they still like him).